Buy Online Now! - Eskimo Joe Rock Concert Posters and Memorabilia. Eskimo Joe formed in 1997 and played their first gig at the University of Western Australia in a local heat for the National Campus Band Competition. They proceeded to the state final in Perth and then the national final in Sydney. For winning the national final, they were awarded a place at the 1997 Livid Festival in Brisbane and a studio recording session in Sydney. 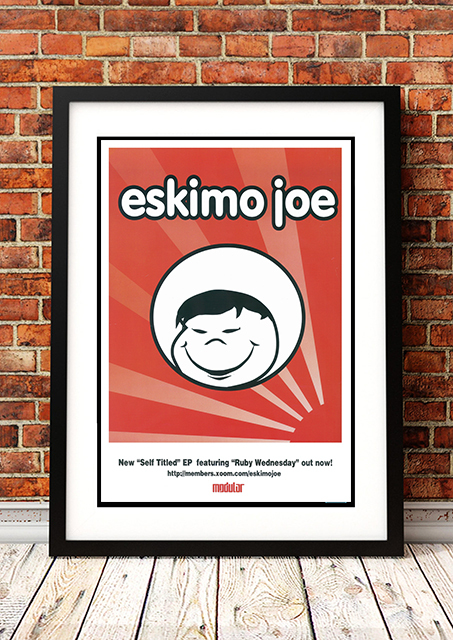 In April 1998, Eskimo Joe recorded their debut release the ‘Sweater’ EP. Its title track, “Sweater”, received significant airplay on national Australian radio stations. The band has released six albums and have won eight ARIA Music Awards. 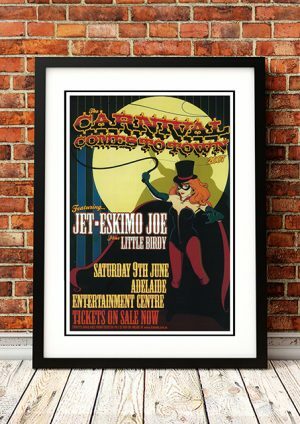 We stock a great range of Eskimo Joe band concert posters. Available in different sizes and printed on high quality 210gsm paper, you’ll find no unsightly pin holes, stains or creases. In fact they look like they could have come straight off the press from the original print run.